I can't receive verification email right after registration – Coubic Inc. 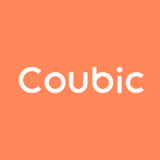 Please check whether your email client can receive message from coubic.com domain. Also, you can reset your email anytime you want if you have registered wrong email address.